If all the options for vinyl have you confused on what to use when and where and on what - let's just get to the bottom of it today. Between the numbers, the finishes, and the adhesive types it can be super confusing and overwhelming to figure out the best type of vinyl for your Silhouette CAMEO projects. There are two main types of vinyl: adhesive and heat transfer. Adhesive vinyl or sticky vinyl or "sticker" vinyl goes on hard surfaces. Heat transfer vinyl (HTV) has a heat and pressure activated adhesive that goes on textiles. Up until recently there were two main types of adhesive craft vinyl used by the majority of die cut crafters: permanent and removable. You may have heard references to Oracal 651 or 631, indoor, outdoor, glossy, matte, permanent or removable vinyl. Basically all those references refer to just two different types of adhesive vinyl. Oracal is the brand. 651 and 631 are two of their vinyl types. 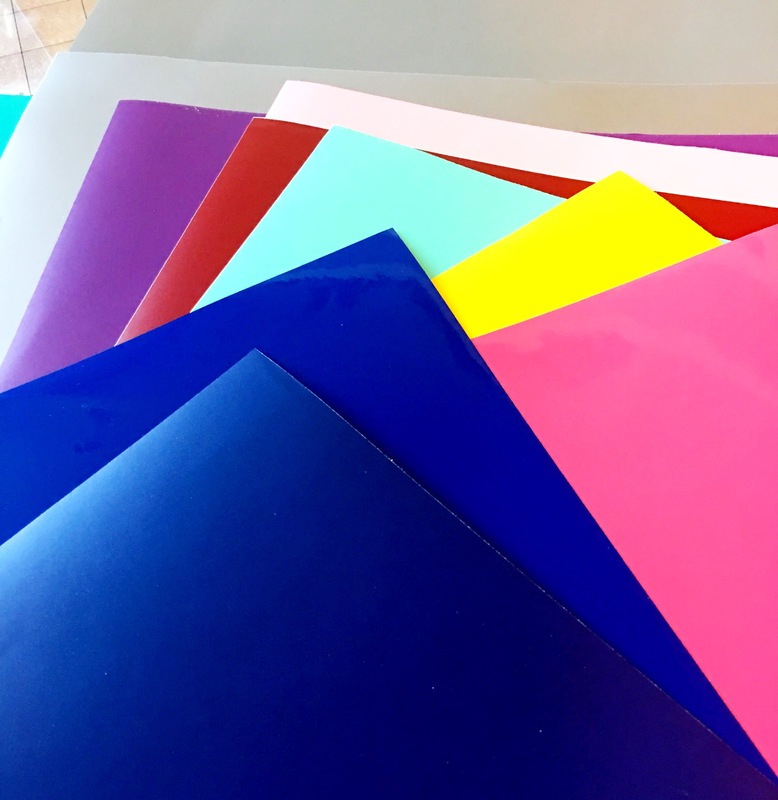 They've become the industry standard to the point that 651 and 631 have become pretty much household names in the craft room and synonymous with the type of adhesive vinyl itself. Keep in mind though, there are other brands so that's where the keywords permanent, glossy, removable, and indoor/outdoor come in. To Read More, Click HERE to visit the Silhouette School Blog.